Characterised by the juxtaposition of Orthodox Christian Church domes and brutal housing blocks, Moscow is now the largest city in Europe. Named after its river this sprawling megacity was founded in 1147 by Yuri Dolgoruky, the Grand Duke of Kiev. It is now home to over 10 million people. 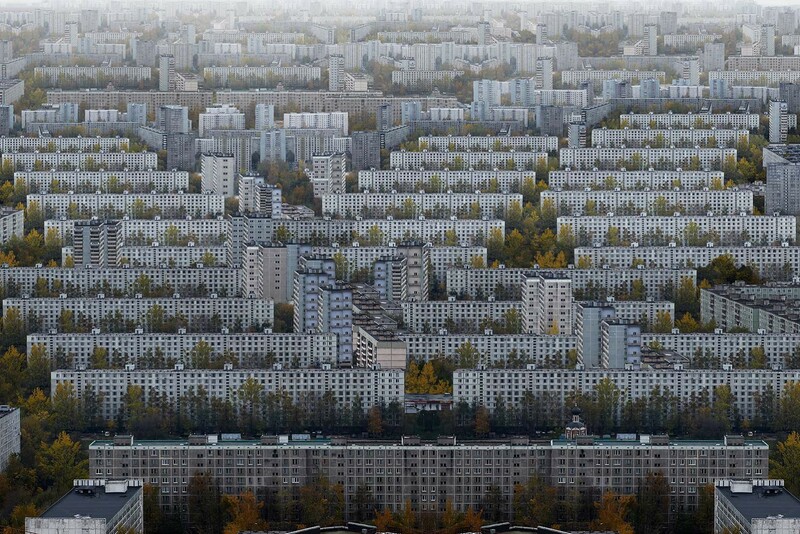 In the sixteen years since the collapse of the Soviet Union, over a third of the historic city has been destroyed to make space for luxury apartments and hotels. In Russia there has been massive redistribution of the means of production and commodities to a handful of oligarchs. As a result Moscow has the largest number of billionaires of any city globally.